Celebrating the triumph of the human spirit, this musical is dedicated to refugees, all over the world. A cast of 100 young performers from Braeburn High School in Nairobi, Kenya and Downs Junior School, Brighton, plus a small orchestra, will come together to bring this extraordinary musical to life. Lizzie Jago and Anna Rusbatch founded the Chicken Knitters Theatre Company in 2009 in Kenya. The Company strives to create innovative, challenging and thought-provoking musicals that raise awareness of social issues, historical events and true stories. 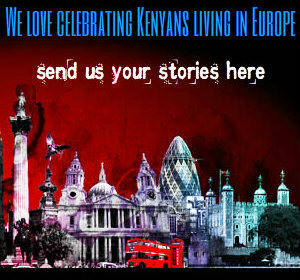 Kesho Amahoro will make its UK debut in London, on stage at the Rose Theatre Kingston at the International Youth Arts Festival 2013. Ticket sale profits will be donated to Save the Children and the UNHCR to support the children of Syria currently facing the difficulties of life as a refugee.